The webinar has ended. Watch the video recording below. The Business Coalition for a Clean Economy, in association with the Pembina Institute, presented a public online forum about the B.C. government's CleanBC plan to grow the clean economy and advance climate solutions. A Q&A session followed the presentations. 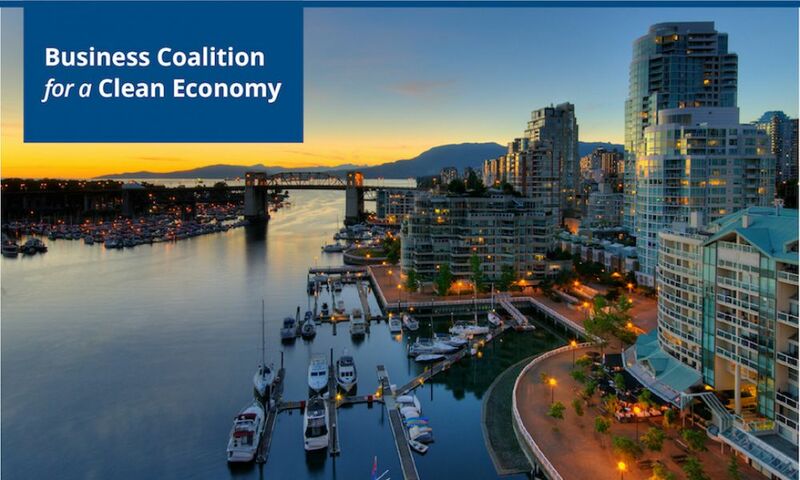 The Business Coalition for a Clean Economy (BCCE) is a network of leading B.C. businesses and organizations aligned behind a vision for a clean and prosperous economy and climate action. We believe that strong climate and energy policy provides certainty and is good for business. For information on joining the coalition, please contact Melyssa Hudson.